Hopkins Horse Farm is a 3rd generation farm looking to share a bit of paradise with other equine enthusiasts. Our 100 acrea farm is located in central New Jersey, easily accessible by all major highways. We offer miles of trails for all levels of rider skill. 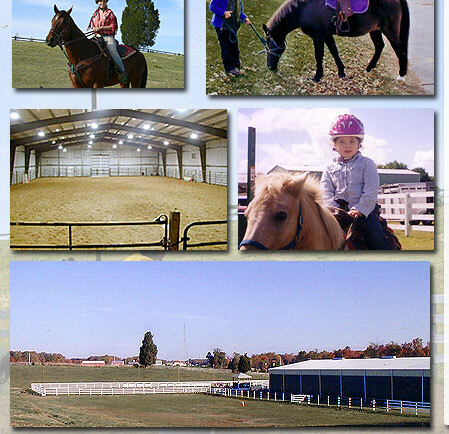 We offer a friendly, family oriented atmosphere for all disciplines of riding. The farm property is preserved through the New Jersey Farmland Preservation Act so we'll continue to offer the same high quality level of care for years to come. The owners live on the property and are on the premises full-time. Please call Larry or Barbara to discuss more details or stop by to see our facility for yourself. Copyright © 2008 Hopkin's Horse Farm • Site design by: Twin Oak Group, Inc.